Posted on April 18, 2017 at 4:55 pm. A new report has revealed the true extent at which AFL teams are benefitting from footy fans addiction to the pokies. A report conducted by IBISWorld revealed that in 2016, revenue earned from pokies losses by AFL affiliated clubs soared to record heights, surpassing $105 million in the 2015-2016 financial year alone. This equated to a third of the total revenue earned by some clubs. The AFL and its clubs operate on a non-profit basis, where all the money earned by each individual club goes back into the club and its operations, with finances distributed between salaries, coaches, medical expenses, rehabilitation staff, talent scouts, administration, etc. This leaves all AFL clubs free to gain a competitive edge over other teams by finding ways to generate more income – with the pokies often viewed as easy money. In the 2015-2016 financial year, punters lost $17 million on the 290 pokie machines owned by the Carlton Football Club, which accounted for 30 per cent of the club’s total revenue. Hawthorn, which was named in the report as the second richest football club, made 28 per cent of its revenue from the pokies, stripping gamblers of $19.5 million in losses. Other teams relying heavily on pokies revenue included Brisbane, Essendon and Melbourne, where pokies losses contributed 29 per cent, 23 per cent and 22 per cent to the respective clubs income. IBISWorld’s report further clarified just how important pokies revenue was for AFL clubs by using North Melbourne as an example. North Melbourne, the only Victorian AFL club without pokies, currently sits at number 16 on the club-revenue ladder. If the club was to introduce pokie machines that generated the same amount of revenue as Hawthorn, North Melbourne would shoot to number four on the club-revenue ladder. 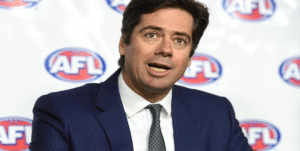 AFL CEO Gillon McLachlan has previously met with anti-pokies crusaders Nick Xenophon and Rev Tim Costello to discuss the correlation between pokies addiction and the AFL. McLachlan agreed this is an issue of some discomfort amongst the clubs but that separating the clubs from the pokies would be a challenge. Rev Costello said the curse of the pokies within the AFL needs to be addressed.